1. The DBC-SG journey started 24 months ago (on 11 April 2015). 2. Trials, tribulations and suffering are 3 suitable words to describe those who received the DBC / SSLC letter of demand. 3. Kindness, generousity and selflessness are 3 suitable words to describe those (mostly Singapore-based residents) who were contributed to the DBC-SG crowd-funding campaigns. 4. For public record purposes, collected funds were solely used to pay for the defense legal fees - none were used for settlement, because as the DBC / SSLC cases are invalid and as such, we did not (and still do not) see a sensible reason to settle. 5. The remaining amount of funds = $2,415.02 (RF). 6. There is no movement from SSLC / DBC on the DBC cases for the past many months ago. While this implies a high probability that the DBC nightmare in Singapore is over, there still exist a minute chance that SSLC / DBC will try some other tricks on selected cases. 7. 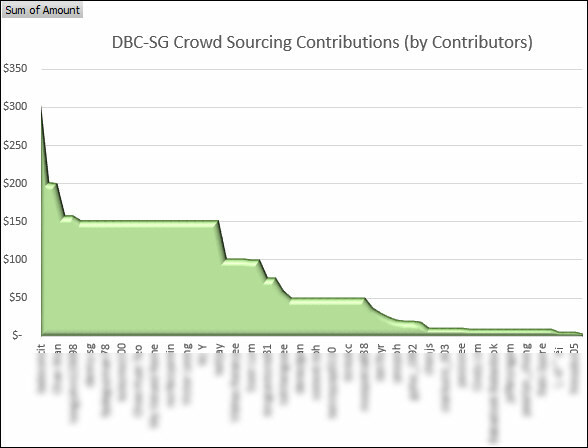 I will continue to monitor this situation for a while longer and in the meantime, I welcome the DBC-SG crowd sourcing contributors to write to me on what we can do with RF. Chairperson of DBC-SG Support Group.